Please check out Origami Owl! Bright Start’s Jenny Brown-Shern is an Independent Designer with a new direct sales jewelry line called Origami Owl. Origami Owl sells living lockets that you customize to tell your story at a great price. 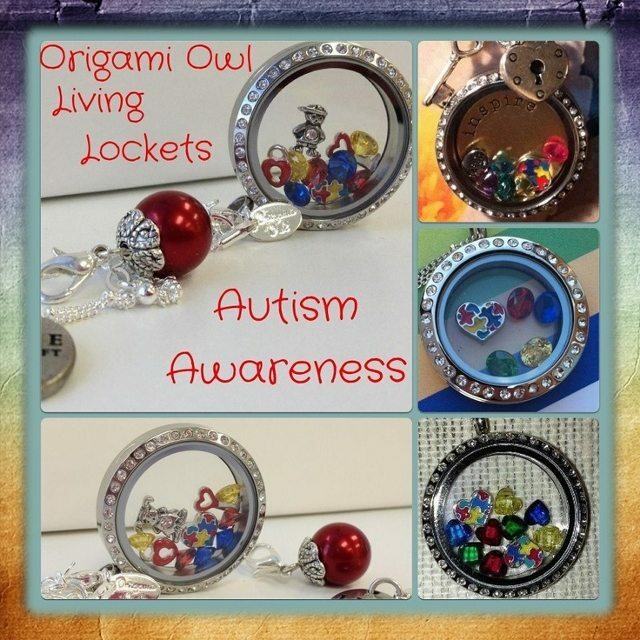 For the month of April, Jenny will donate all of the proceeds of Origami Owl’s Autism Awareness charm, purchased from her or her website, to the Autism Society of SC. Jenny is a Service Coordinator with Bright Start in the Columbia area, and has a special heart for autism. She sees families with loved ones with autism on a daily basis. Jenny has numerous friends and acquaintances that have someone who has autism in their family. She has seen firsthand what intervention can do to move a child forward when therapy is started at a young age. She knows that much more research and programs are needed. Once on the website, click on Living Lockets – Causes – Autism Awareness Charm. Jenny is happy to answer any questions you may have. You may also visit her Facebook Page.